There is substantial potential amongst private companies in the UAE for participation in employee voluntary projects that could contribute significantly to United Nations Sustainable Development Goals (SDG), a report said. Amongst the key findings: up to 90 per cent of companies surveyed reported alignment with the SDG programme, with 71 per cent actively working to gather data on productivity, employee well-being, employee engagement, and impact on community partners. Of the 48 companies in the sample, 70 per cent stated that they regularly measure the impact of their volunteer activities, with 56 per cent tracking impact on their community partners, and 50 per cent measuring the impact of employee engagement. “IMPACT2030 is an important initiative that activates skills-based, voluntary programmes by private sector employees to advance the Sustainable Development Goals. Private sector collaboration plays a pivotal role in helping nations tackle issues such as poverty, inequality and climate change. By jointly co-ordinating our efforts, we can have a greater impact in alleviating some of these problems for the benefit of millions of people worldwide,” he added. Sixty per cent of those surveyed said that volunteering activity was increasing among their employees, pointing to significant growth opportunities for 2019. 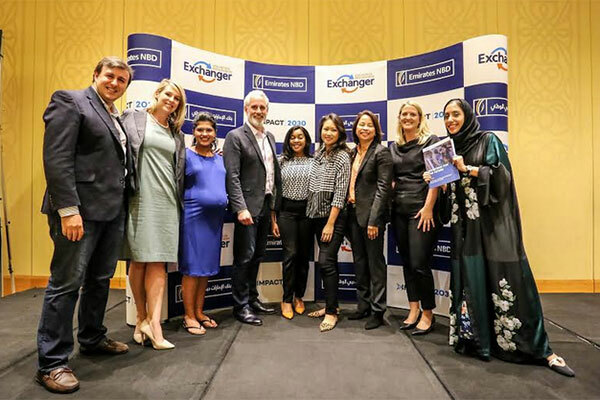 The report found that 37 per cent of employees already participate in volunteering activities in the UAE, comparing favourably to other countries such as the United States, where 31 per cent of employees participate.